2 In the past decade the popularity of poker has spread to the Asian continent and indeed last year the first ever World Series of Poker was played in China with Zhou Yun Peng scooping the top prize of £281,000. In the past decade the popularity of poker has spread to the Asian continent and indeed last year the first ever World Series of Poker was played in China with Zhou Yun Peng scooping the top prize of £281,000. However, on the 1st June this year, the world’s most populous country implemented a law that has banned money betting on poker online, in apps and in land-based venues. The government have also banned the promotion of poker on social media channels. The App Store, Google Play and WeChat have had to remove all poker apps from their stores and companies have been prohibited from sharing news of their tournaments or offerings online in China. In this article we take a look at what the change in law means for China going forward and how it affects the legacy of the game in the country. How did the Chinese play poker before? Betting for money was illegal in China before the law change, but players were allowed to participate in online tournaments in which they would buy coins to take part. There was never a chance of players winning money, they merely had the chance to play for the glory of winning. Whilst this wasn’t particularly lucrative for poker companies, it helped to spread the popularity of the game amongst the 1.386 billion inhabitants of China. It also helped to create a hype around upcoming tournaments in the country. With the latest ban on apps, Chinese consumers will have no way of practising poker and no way of keeping up to date with the latest poker news. The government’s ban on poker has seemingly taken the game back to square one in the country and threatens to alienate one of the largest markets in the world. In order to circumnavigate strict laws surrounding poker betting, Chinese Poker was created, a game which relies more on luck than traditional poker, but nonetheless a popular game that has been featured regularly at World Series of Poker events. If you don’t know anything about the rules of Chinese Poker, here is a quick breakdown of the rules. The game usually consists of 4 players with each receiving 13 cards from a 52 card French deck. Players must then arrange their hand into three different hands, two of which are five card poker hands and one three card poker hand. 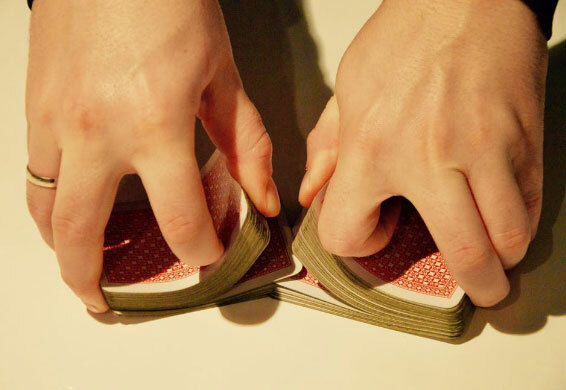 Only high cards, pairs and trips count in a player’s three card hand. The hands laid down must increase in strength starting with the initial three card hand. With all the cards laid out on the table, players compare their differing hands with their opponents with a point being awarded for the best hand and a bonus point added for a clean sweep of three winning hands. Bonus points are awarded for the use of certain hands and fouls are also implemented when players fail to follow the simple rules of no straights or flushes in their three card hand and by not arranging their hands in ascending order of strength. Fouls and bonuses make the game incredibly unpredictable and players can frequently go from last place to first place in just one hand or vice versa. Chinese poker may sound complicated, but it is much simpler than traditional poker and more accessible to beginners. The lack of bluffing, any real strategy and the equality of skill makes it more likely for a beginner to take on an experienced player. As the game is usually free of money and differs to poker it is incredibly popular in China, and will likely experience a resurgence in popularity after the recent banning of traditional poker in the country. Open Face Chinese Poker is a variation of the game that has gained in popularity in the Western world recently, thanks to its introduction by poker pro Alex Kravchenko. It is played with the same rules as Chinese poker but players are dealt five cards face up before dealing the rest of their cards one at a time. High-stakes cash bets are often seen in open face Chinese poker and its allure has even spread to Olympian Michael Phelps who was seen playing the game prior to a competition. What next for Chinese poker enthusiasts? Chinese poker will undoubtedly receive a boost in participation numbers as poker enthusiast are turned away from their passion. The ban however doesn’t mean the end of poker in the country though, it will just make it harder for the game to grow. Experts are predicting that there will be a marked impact on spectator numbers at world poker tournaments played in China as enthusiasts will have no way to find out about tournaments due to the prohibition of promotion on social media. Poker will undoubtedly continue in China as its popularity won’t simply vanish overnight, but players will just have to be more creative in the ways that they play. Money games will be impossible to play so enthusiasts will have to partake merely for their love of the game rather than financial gain. There are however likely to be less and less Chinese investors in poker and less coverage of the game in the country as it falls out of the public domain. Regardless of your views on money betting in poker, you have to recognise that the recent ban in China smacks of hypocrisy. Macau is now a bigger gambling centre than Las Vegas and attracts more foreign tourists annually. The government and casino companies are happy to reap the financial benefits of these gambling centres, so the government’s stance on money betting in poker is utterly baffling. Protection of vulnerable adults may be cited as a reason for the crackdown, but if that were truly the case then surely it would make sense to ban all gambling activities in the country? However as Chinese poker shows, where there is a will there is a way and Chinese consumers will still find ways to enjoy poker, despite the government’s tough stance.